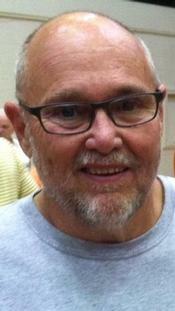 Ronald L. Ketron, 65, Minneapolis, passed away Friday, October 25, 2013 at the Ottawa County Health Center, Minneapolis. He was born October 1, 1948 in Kansas City, MO to Kenneth and Dorene (Ivy) Ketron. Ron was a 1966 graduate of Salina High School and he served in the United States Marines. He was united in marriage with Jane Splichal on November 15, 1975. Ron and his father owned and operated the Salina Auto Auction for many years. He also worked for U.S.D. 239 North Ottawa County Schools and the City of Minneapolis. Ron was currently working at C&R Plating as a truck driver. He was a member of the Immaculate Conception Catholic Church, Pheasants Forever, and the N.R.A. Ron was preceded in death by his father Kenneth and his sister Sharon Davenport. Survivors include his wife Jane; children Karissa Koelling and her husband Aaron; Jake Ketron; and Taylor Cline and her husband Luke; mother Dorene Ketron; sisters Linda Deatz, Bonnie Newman, and Kathy Covey; and three grandchildren Rose, Kambren, and Owen Koelling. Mass of Christian Burial will be at 10:00 A.M., Wednesday, October 30 at the Immaculate Conception Catholic Church, Minneapolis. Burial will be in Highland Cemetery, Minneapolis. Visitation will be from 2 P.M. to 8 P.M. Tuesday at the Wilson Family Funeral Home, Minneapolis, where a prayer vigil and rosary will be at 7:00 P.M. In lieu of flowers memorials may be made to Markley Grove Park Friends Inc. and may left in care of the funeral home. SMOLAN — Georgia Grace (Lingo) Whitaker, 79, of Smolan, died Thurs- day, Oct. 24, 2013. Georgia was born Sept. 16, 1934, in Wilson. She was a loving wife, mother, sister, grandmother and friend. She was preceded in death by her husband, George; parents, Mack and Laura Lingo; three brothers, James, George and Raymond Lingo; and a sister, Eula Fidler. Survivors include two daughters, Kathleen (Kathy) Smith and husband Bill, of Smolan, Christine (Chris) McDonnell and Gene Donley, all of Salina; sister, Shirley Sewill, of Sargent, Neb. ; granddaughter, Brandee and husband Eric Adam, of Smolan; grandson, Hal Kelly Smith, of Lindsborg; granddaughter, Kylee Smith, of Smolan; seven great-grandchildren, Katelynn, Karter, Karee and Kelsee Adam, Isaiah and Gabriella Smith, all of Smolan, and Hal Ryddyk Smith of Lindsborg; several nieces and nephews; and best friend, Dorothy Smith. Visitation will be 4-8 p.m. Sunday, Oct. 27, with the family receiving friends from 4-5 p.m. at Ryan Mortuary, 137 N. Eighth, Salina. Funeral services will be held at 10 a.m. Monday, Oct. 28, at Ryan Mortuary. Burial will be in Mission Hill Cemetery, Smolan. The family suggests memorials to the Georgia G. Whitaker memorial fund.